eVic-VT Mini Skin, hugs your device with care to prevent scraping. Made with high quality silicone rubber specifically for eVic-VTC Mini, it feels great in your hand. Its beautiful and easy-to-use design makes you look more fashionable. shipping very fast , good quality. you get five star , . I'm very satisfied , very good store's service Thank you very much! Perfect fit and has smaller groves in it so that if your hands are slippery, this thing is perfect for not slipping. I've been vaping for the past 3 years but my hands were always slippery. I guess from the vape oil leaking a little. I don't have that at all with this case. Well worth changing. 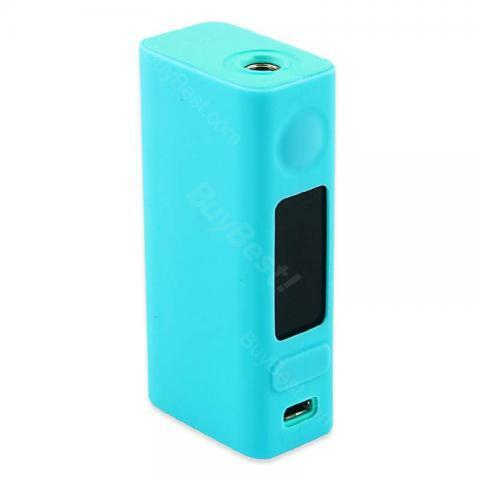 JoyeTech eVic-VTC Mini Silicone Rubber Skin is a EVIC VTC Mini Silicone Case E-cig Colorful Rubber Sleeve Skin Vape Soft Silica Gel Protective Cover. It is for JoyetecheVic -VTC Mini Mod Colorful Silicone Case Rubber Sleeve.